A certified pharmacy technician is one who has passed the certification test that has been recognized by their state of employment. 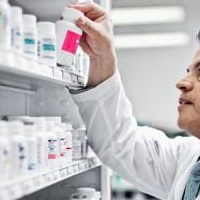 What is a certified pharmacy technician and how do I become one? A pharmacy technician’s role in its simplest terms can be defined as someone who aids the pharmacist in providing medication to patients. Routine tasks include retrieving prescription orders, verifying prescriptions, counting tablets, measuring medications, labeling bottles, maintaining patient records, stocking shelves, assisting patients with insurance questions, tracking insurance information, and answering phones. A certified pharmacy technician is one who has passed the certification test that has been recognized by their state of employment. Pharmacy technician certification is or will be required in most states. In those states where it is not, certification can be an indicator to employers that the applicant is both a dedicated and capable pharmacy technician. The Institute for the Certification of Pharmacy Technicians (ICPT) offers the Exam for the Certification of Pharmacy Technicians (ExCPT). What can I expect with the exam? The exam consists of 90 multiple choice questions, with four possible answers. You take the exam on a computer and are given 110 minutes to complete it. Each question is weighted differently, with a passing score of 650 points needed. This means you must get approximately 65 questions or more correct to pass the exam. The majority of the exam will encompass basic knowledge of pharmacy practice, but approximately 30% of the exam will encompass calculations. This tends to be the most difficult part of the exam. Example: A patient calls asking if the medication he is on can cause hives. What should you do? Answer: Have the patient consult the pharmacist. Example: What does the following prescription mean “ii gtts au BID”? Example: Plavix is similar to which of the following drugs? Example: Which of the following drugs is a narcotic analgesic? Example: How many tablets are needed to fill the following order- “3 tabs po TID x 5 days”? The test is offered year round and there is a registration fee that you must pay to take the test. Your official score will be sent to you by mail within three weeks. If you do not pass the exam, you are able to take it as many times as you need to pass, but you do have to pay the registration fee each time. After you have passed the exam, you will have earned the title of Certified Pharmacy Technician (CPhT)!! How Much Can I Earn as a Certified Pharmacy Tech? The national average for Pharmacy Technicians is $30,000 per year in their first year. Experienced CPhTs can earn between $50,000 and $70,000 annually. Dave Boblenz, PharmD, is a pharmacist with over 14 years experience. He runs the Pharmacy Technician Certification Exam site.